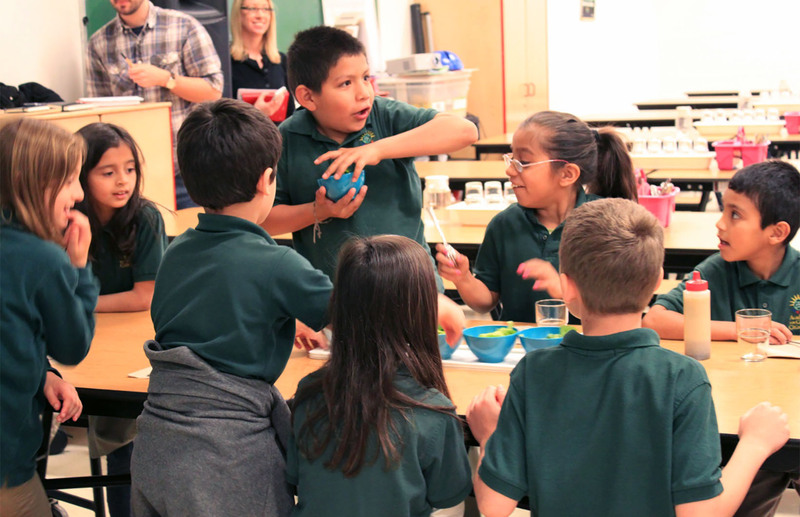 Academy for Global Citizenship is a Chicago Public Charter School located on the underserved Southwest side of Chicago. 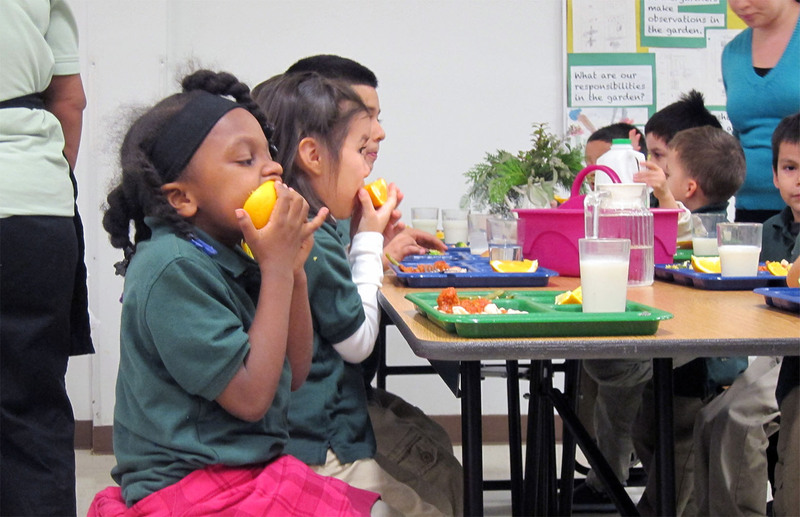 For policymakers, school food is a major battleground. As designers, we knew we could bring something different to the conversation. We were challenged to redesign a cafeteria that saw tons of kids go without finishing their meals, despite serving the best food in the city. 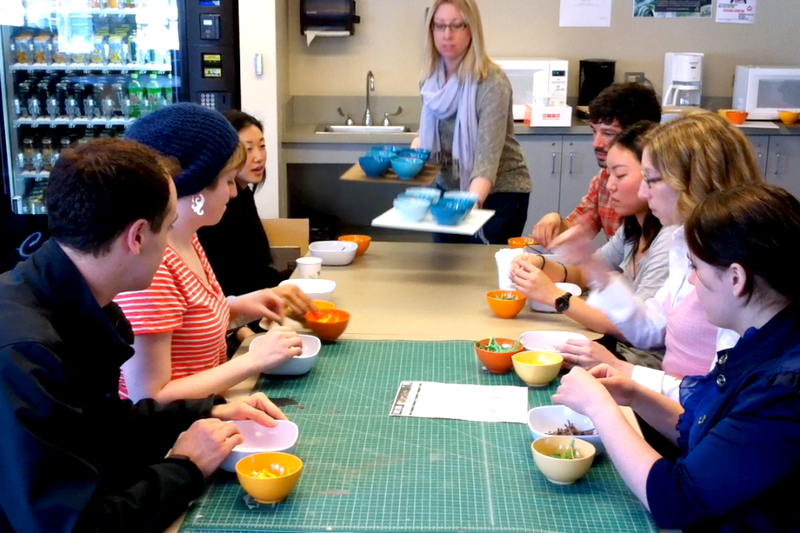 With a grant from the Motorola Solutions Foundation and alongside a team of students from the School of the Art Institute of Chicago, we created a community-driven research and design project to reimagine the school food experience. 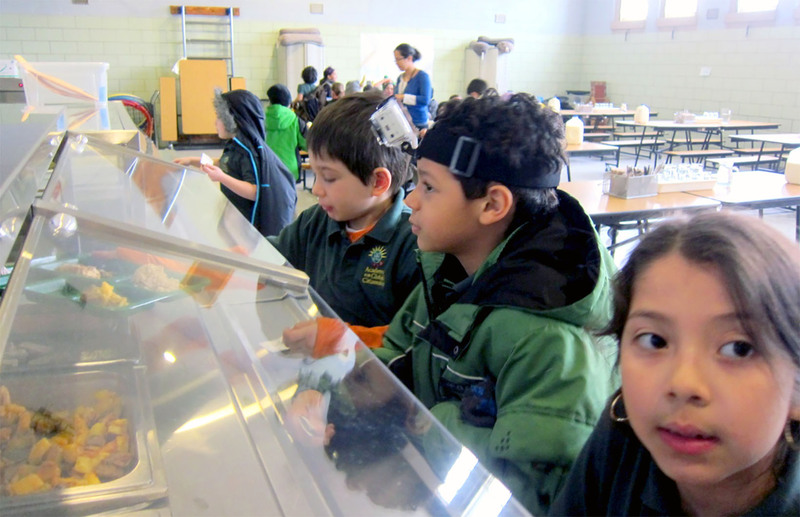 Our research began by observing meals in the cafeteria, the structure of which hadn’t changed much since we were children. 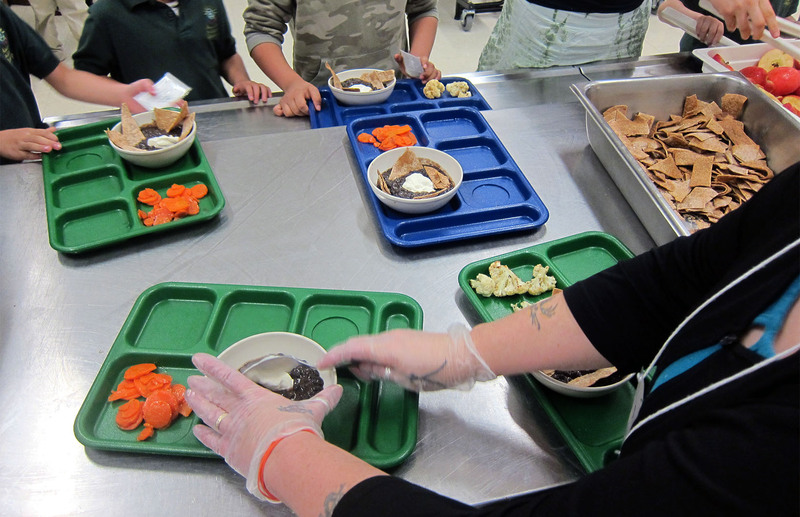 We shadowed key staff members for entire shifts, understanding the constraints under which food is served in schools. 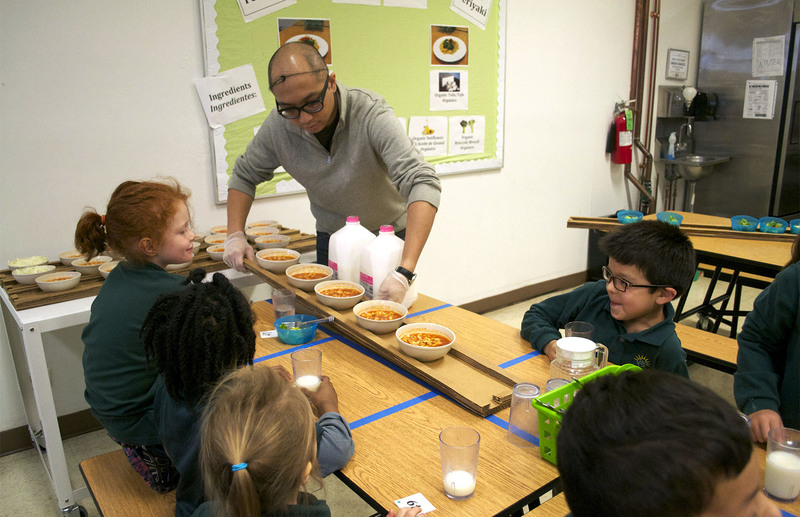 To gain empathy for the adults who make it all happen, our team of students volunteered as lunchroom attendants, cracking dozens of eggs at dawn and dishing out veggies at lunch. 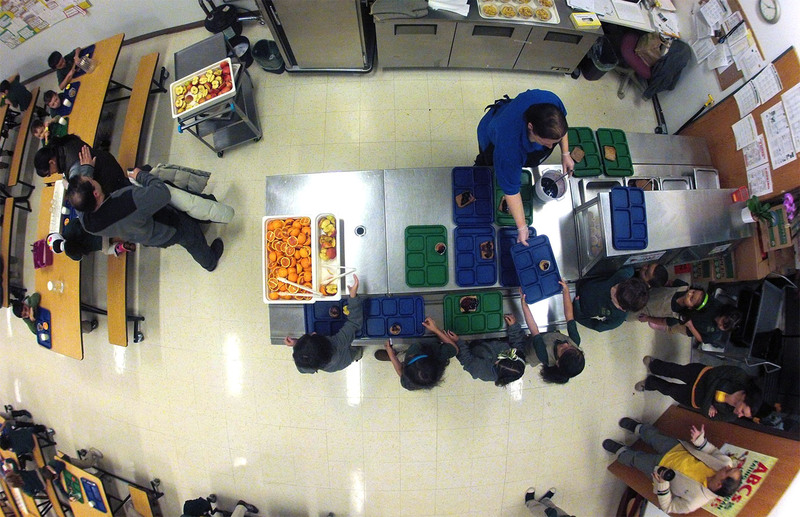 We mounted Go-Pro cameras on 10 kids’ heads, observing the lunch period from a child's perspective. For insights into traffic flow, we captured time-lapse videos of the cafeteria with ceiling-mounted cameras. Through rigorous synthesis, we determined that the lunch line itself was the problem. Kids had only a couple of seconds to choose their food, they could barely see over the counter and they wasted five of their 20 minutes in line. 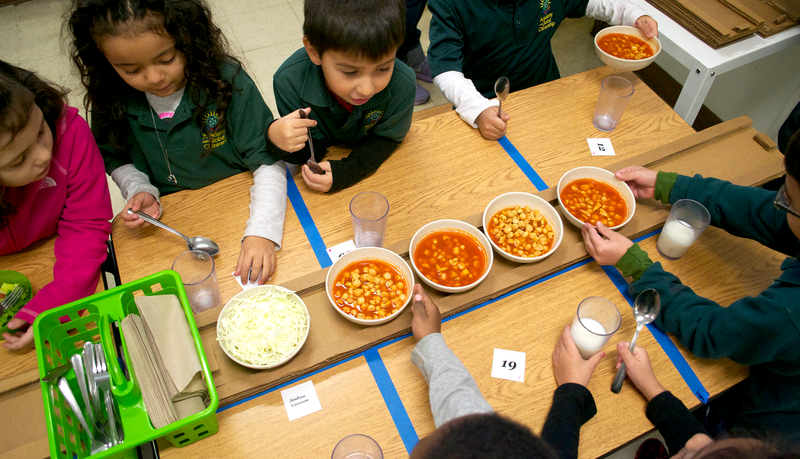 We worked with parents to brainstorm answers to the central question: “How might we increase the time for choosing food?” The hypothesis was that if kids could actually choose their lunch, they’d eat more and toss less. 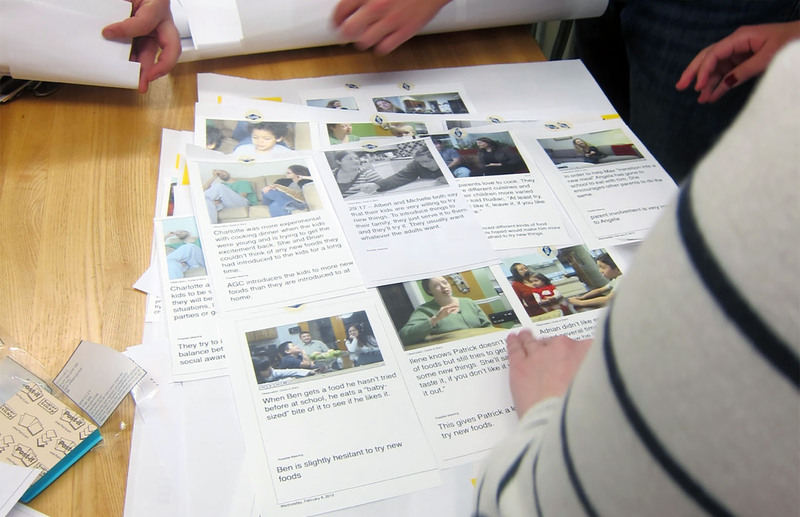 Our most promising brainstorm concept was to serve the food in courses, directly at the tables. 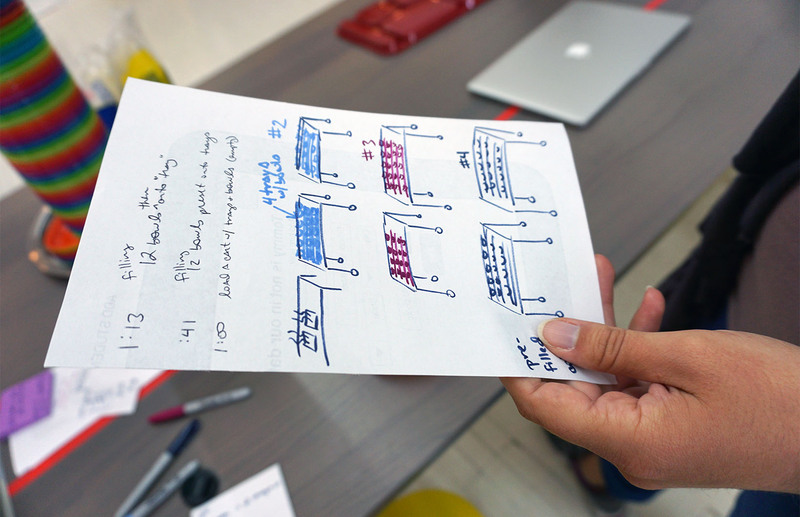 We prototyped this idea with our student team at SAIC, using paper "food," in order to test its feasibility and flow. 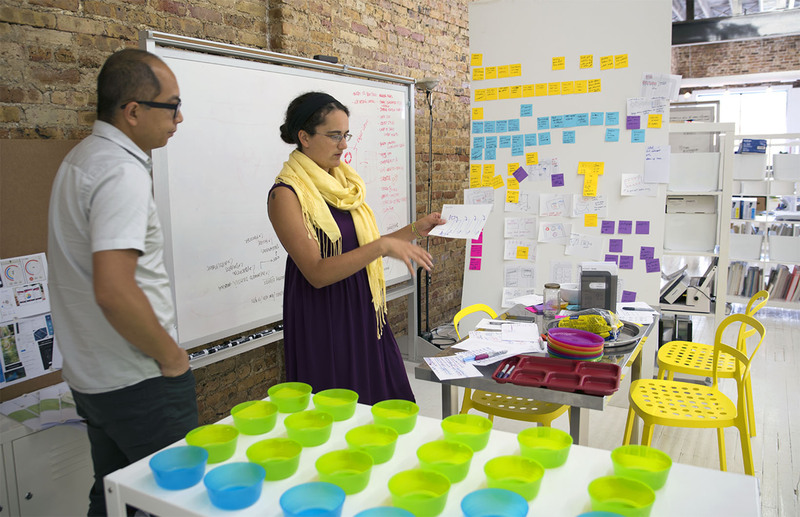 Back at the studio, we choreographed the new food service across people and time, and created a map for the team to use in testing. It was important to visualize the service in order to make sure it would be feasible, particularly given the constraint that we could not add additional lunchroom staff. 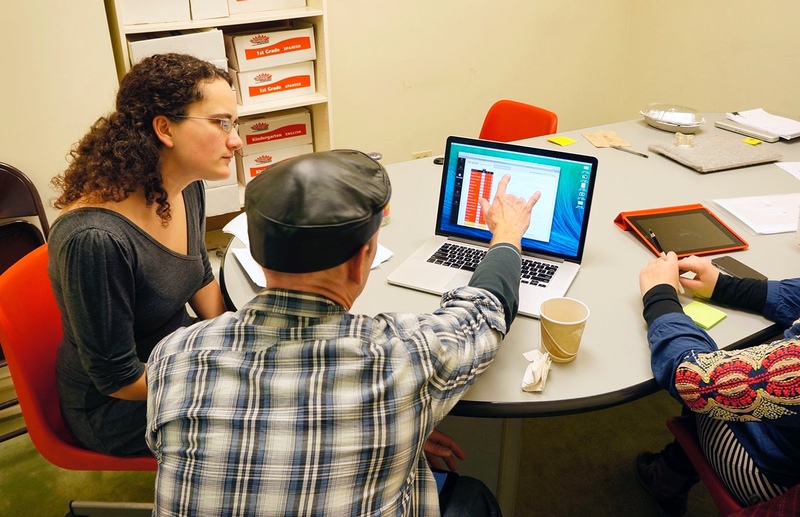 In two rounds of testing, we prototyped a new food service model that had lunchroom attendants bringing food directly to children, in an effort to reduce time wasted in line and give kids greater ability to choose their food. 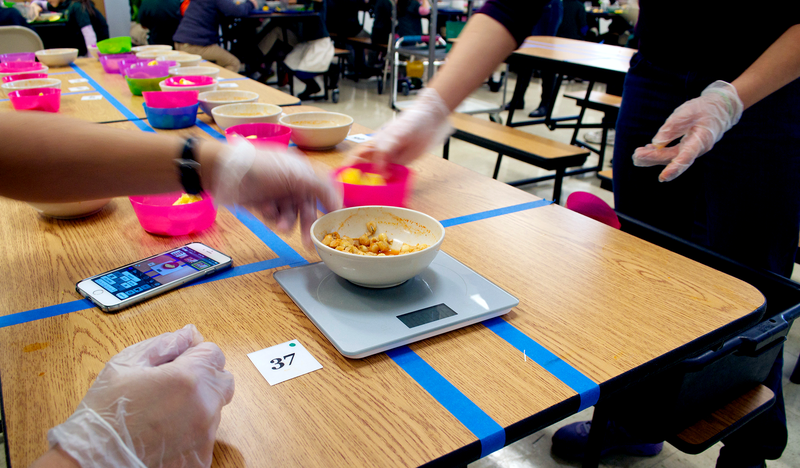 The program required some new tools, including trays that would fit the long cafeteria tables and bowls that were easy for kids to carry and would fit in the school’s commercial dishwasher. For our pilot, we constructed basic trays and sourced bowls from IKEA. 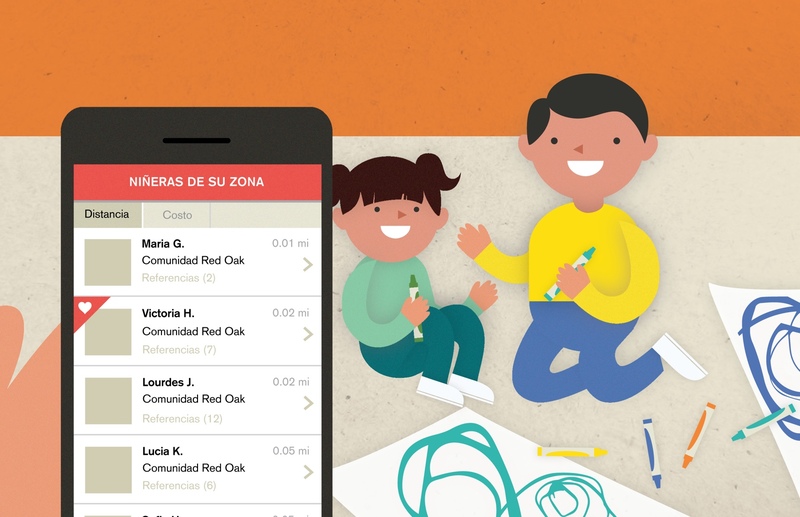 During our five-day test with 50 students, kids told us how much they loved the new service. A new course every 5 minutes kept them interested in what was coming next, and the ability to take time to choose each dish made them happier with their choices overall. 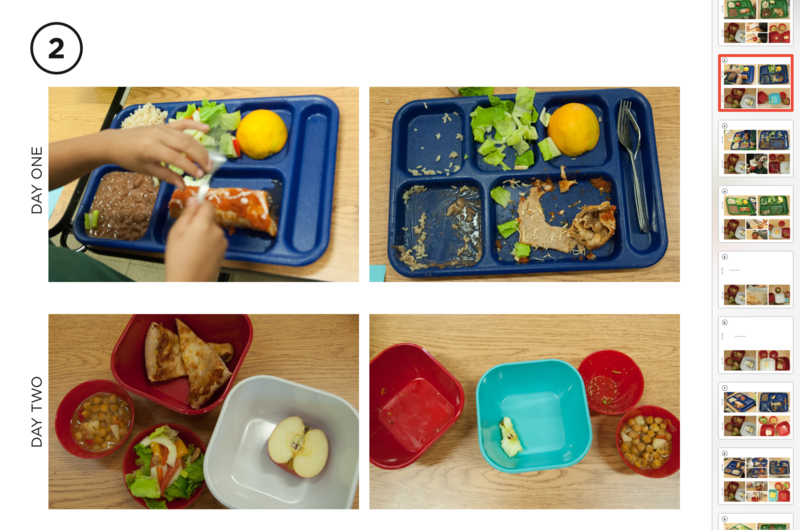 To determine whether this effectively reduced food waste, we weighed and photographed each student’s leftovers before and after this intervention. We saw a 13% increase in vegetable consumption! They also ate more food overall and consumed more balanced meals with less fuss. 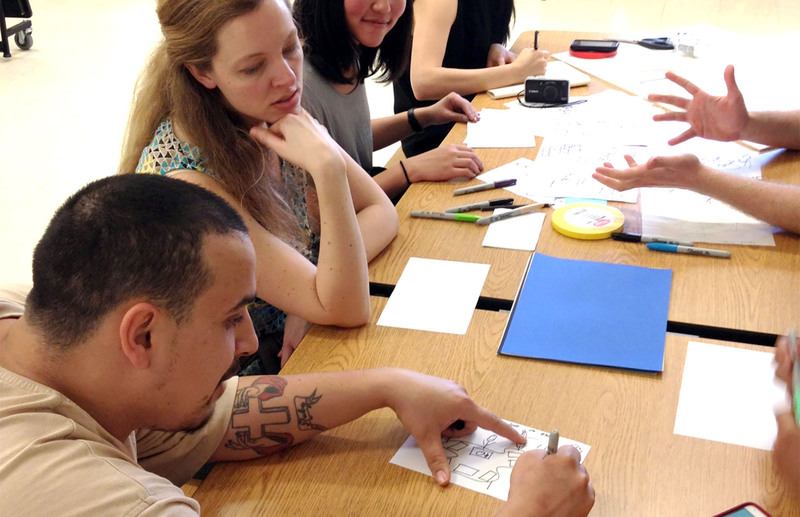 Special thanks to our incredible student design team at the School of the Art Institute of Chicago: Kristen Campbell Hansen, Hsi Chen, Janice Cho, David Evancho, Tamara Novikova Andreevna, Meghan Quinn and Eli Sidman.